Henbart, LLC is the real estate development arm of Bartell Drugs. 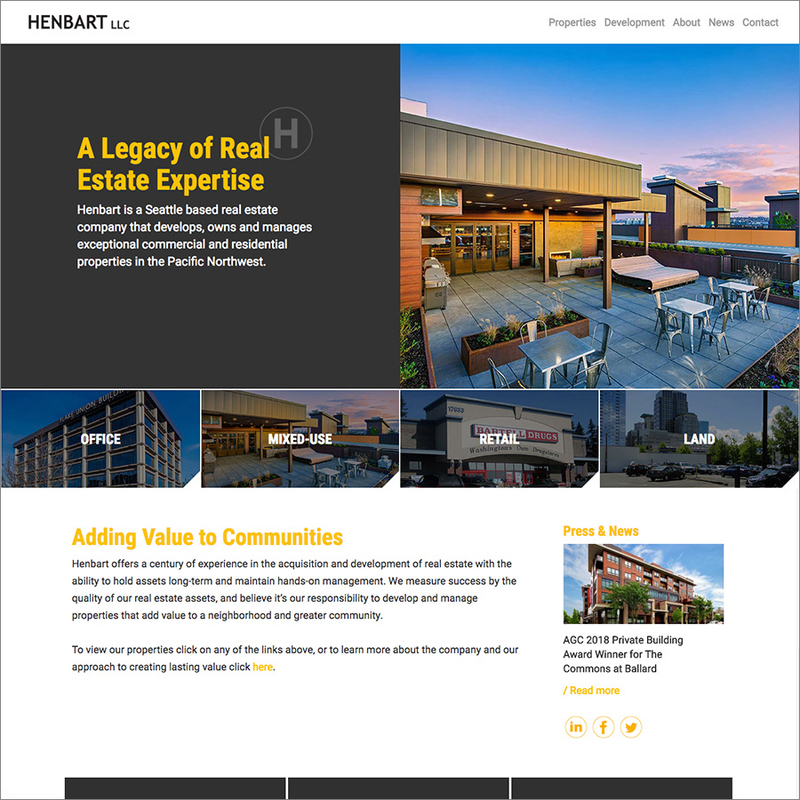 We recently designed this responsive WordPress site for them to better reflect their stature in the Seattle development community. Great client. www.henbart.com.